When you see “#”, the word “hashtag” comes to mind. However, 10 years ago, when people would see “#”, they would think the “number sign” or the “pound sign”. 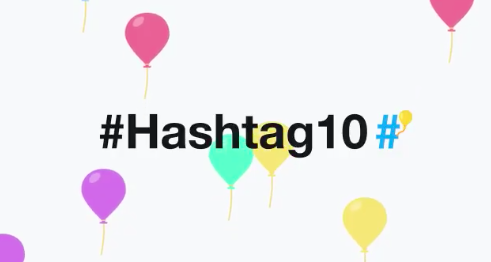 On August 23, it was the hashtag’s 10th birthday. It was 10 years ago, when Chris Messina, an engineer at Google, came up with the idea to stick a pound sign (#) in front of a word as a way to make groups. Messina and some folks he knew started using the hashtag, and eventually, the usage spread. According to Twitter, the hashtag gets used more than 125 million times per day. Octothorpe is the word for the symbol #.